Trying to come up with a précis of ‘what happens’ is difficult at the best of times with Churchill’s plays and Escaped Alone is no different. 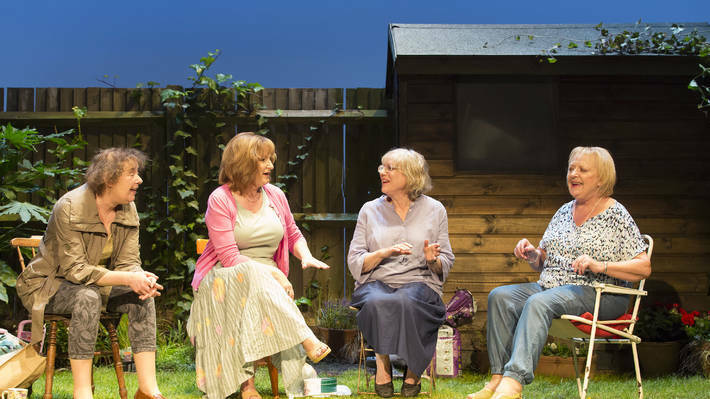 Suffice to say, Sally (Deborah Findlay), Lena (Kika Markham), and Vi (June Watson) play three friends enjoying a cup of tea in Miriam Buether’s highly naturalistic back garden set when neighbour Mrs Jarrett (Linda Bassett) pops along to join them. 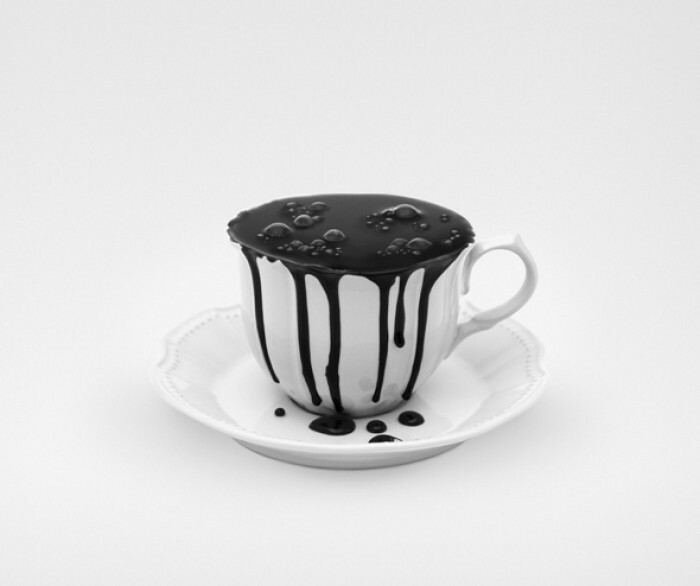 What follows is a sharing of stories, personal and political, private revelations and public address. 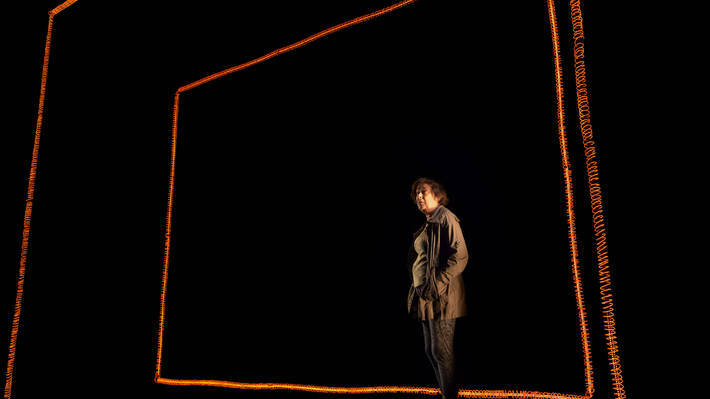 The characters are all over 70 and so much life has happened to them but something apocalyptic is happening too (a recurring and disturbingly prescient theme in the playwright’s work, not least The Skriker). And in the steady flow of James Macdonald’s assured production, contrasting timeframes are elided beautifully – as stories of survival are divided by Bassett’s matter-of-fact accounts about the state of the world today – aided by Buether’s addition of a pitch black antechamber in front, framed by ingeniously flickering and effective electric coils, Peter Mumford’s lighting transformatively complete.